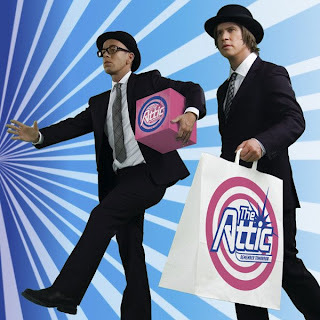 The Attic I am talking about is those guys, not to be confused with those guys (iTunes and others seem to have them mixed up)! The Attic are (were?) Swedish DJs/songwriter-producers Michael Feiner and Eric Amarillo, two childhood friends who started in 2003 as “Stereopol”, subsequently re-branded themselves as “The Attic”, and now go by their stage names “Michael Feiner & Eric Amarillo”, both together and separately. 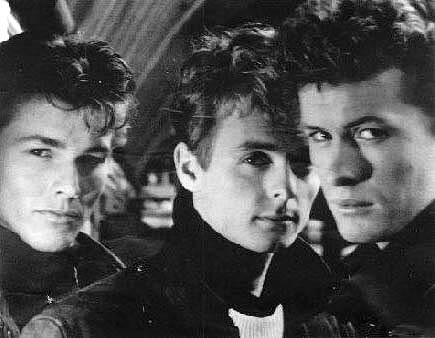 a-ha is of course one of the all-time great pop bands. The band formed in Norway in 1982, broke through on the world scene in 1985 with their landmark song and music video “Take On Me”, and went on to release 9 studio albums over the following 25 years, finally calling it quits in 2010. Paul Waaktaar-Savoy (pictured, center) is the main songwriter and possibly driving force behind a-ha. Morten Harket (pictured, left) is the voice and face of the band, with his distinctive falsetto, wide vocal range and enduring boyish good looks. Magne Furuholmen (pictured, right) completes the formula on keyboards and guitars. a-ha songs always have beautiful melodies, often bitter-sweet, moving, full of nostalgia and emotion. The brilliant songwriting is served by immaculate production, grand arrangements – combining synthetic and organic elements – and of course Morten’s unique, beautiful voice. The videos are often set in equally grand and awe-inspiring open spaces.